Federal Title and ASP/ECR Funds ? The funds allocated to an individual school in the DC Public Schools (DCPS) in a given year come from a variety of sources, local and federal. Code for DC created this interactive graphic to show how both general education and overall funding were allocated by DCPS across schools and how those allocations changed between the current school year (2018-19) and proposed budgets for next year (2019-20). Given that this tool was created five years ago, it also includes data for the school years from 2014-15 through 2018-19. Controls above the chart filter the schools by ward or by level—elementary, middle, high, and education campus. Selecting a school will reveal more detailed information on the school's current (2018-19), proposed (2019-20) and prior year funding sources. While general education dollars in the District are allocated to DCPS based on the Uniform Per Student Funding Formula (UPSFF), the UPSFF does not govern how dollars are allocated by DCPS to its public schools. Instead, DCPS allocates most of its operating dollars according to the Comprehensive Staffing Model (CSM), in which each school is allocated funds to cover a certain set of required positions (e.g., principal, instructional coaches and maintenance), flexible positions, and non-personnel items. DCPS also allocates additional funds for special programs and purposes. While the general education funding a school receives increases with enrollment, it often declines on a per-student basis. For example, at a school with a high enrollment, the cost of the Principal, one full-time equivalent (FTE), is spread over many students, while at a lower-enrollment school it is spread over fewer. Similarly, maintenance and operation costs are driven primarily by the building itself, not the number of students in the building. Even when funding does increase with enrollment, it does not increase smoothly: an elementary school with fewer than 400 pupils receives 3 FTEs for art, music, PE and world language instruction, while an elementary school with between 400 and 600 pupils receives 4.5 FTEs; and an elementary school with more than 600 pupils receives 5.5 FTEs. In addition many schools receive "Enrollment" funding outside the CSM formulas. The result is that per pupil allocations for general education vary widely from school to school with variable correlation to enrollment. On this web tool, where funding for general education functions is attributed to another funding source, for example, at-risk, that function is reflected as paid for by at risk, not general education funds. The CSM allocation criteria for different grade levels and non-personnel items are at https://www.dcpsdatacenter.com/budget_process.html. Some schools within DCPS receive "specialty" funds that promote the unique goals of their program. For example the Duke Ellington School for the Arts uses its specialty funds to sustain a dual-curriculum that provides general studies and arts-intensive classes. Specialty funds are included in the initial school budget allocations as a block of dollars, not staff positions. The cost of maintaining lower-enrollment schools often falls disproportionately on our larger-enrollment schools. The cost is reflected in the fact that our largest schools spend the least per student. Without adjustment, these larger schools risk funding while they are gaining in their overall enrollment. To avoid this DCPS generally supports a minimum funding level per student and reinvests funds to schools if they would otherwise fall below that threshold. The PPFM minimum is calculated from all funding sources, including special education, ELL, at risk, and Title I, and therefore is allocated only to schools with relatively few students in these categories. The Fair Student Funding and School Based Budgeting Act of 2013 includes a legislative mandate that no school lose more than 5% of its UPSFF funds between fiscal years. If a school's preliminary allocation shows that it would lose more than 5% of these funds, DCPS is supposed to allocate stabilization funds to limit the loss to 5%. Stabilization does not necessarily apply when a major school configuration occurs, for example when a school goes from a PK-8 education campus to a PK-5 elementary school). Staffing for the special education student population is determined by a review of all current Individualized Education Plans (IEPs). Staffing for these needs is guided by the Division of Specialized Instruction staffing ratios. Funds are then allocated according to the given ratios. Staffing ratios for specific programs can be found in the FY20 Budget Guide [pdf]. Schools are not able to repurpose funds designed to support special education needs. English Language Learner (ELL) allocations are determined on the basis of the number of ELL students enrolled. In 2019-20 schools will receive 1 teacher for every 17 ELL students. Aides are provided for every 50 or more students, minimum 50, and bilingual counselors for every 100 or more students, minimum 100. Schools are not able to repurpose funds designed to support ELL needs. The at-risk allocation is based on the number of students that are at-risk of academic failure based on one or more of the following: homeless, in the District's foster care system, receiving Temporary Assistance for Needy Families (TANF) or the Supplemental Nutrition Assistance Program (SNAP), or in high school only, are at least one year older than the expected age for their grade. At-risk funds follow the student to his or her school. "Title funds" refers to money provided by the U.S. Department of Education through the Elementary and Secondary Education Act of 1965. The number of students at a school eligible for Free and Reduced Meals (FARM) has a direct impact on the amount of Title I funds that the school receives in its initial budget allocation. Title I funds provide support for students from low-income families. A small percentage of Title I funds are set aside to fund parent engagement initiatives at the school level. All students at schools that have 40% or more of their students at-risk are FARM-eligible, and these schools (about three-quarters of all DCPS schools) are considered 99% FARM-eligible for purposes of Title I. Title II funds are intended to support professional development for educators. After-School Programs (ASP), once funded in whole or in part by Temporary Assistance for Needy Families (TANF) grants, are now funded entirely by local funds. All students may participate in schools with ASP and parents pay a co-payment to attend that is calculated based on a sliding scale. Evening Credit Recovery money is only to be used for evening credit recovery and is determined by previous course recovery needs at each high school. Security is the cost of contract school security officers assigned to each school. The contract is managed by the Metropolitan Police Department and DCPS central offices, not by local schools. These costs are not new, but appear in local school budgets for the first time in FY20. Security funds are not included when calculating the change from previous years. 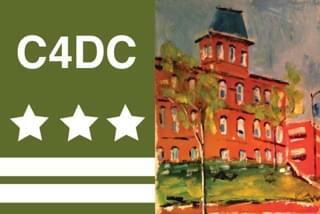 DCPS's FY20 Budget Guide [pdf] provides a detailed review of the current budget process. DCFPI publishes a School Finance Primer to help residents, parents and elected officials understand how DC schools are funded. While individual school budgets account for roughly 85% of total educational expenditures in the DCPS school system, they do not cover everything. Central office, textbooks, athletics, special education related services other than psychologists and social workers, utilities, security, food service, and maintenance all fall outside individual school budgets and so are not shown above. We are very grateful to Coalition members DC Fiscal Policy Institute, S.H.A.P.P.E. and the Dean of DCPS data — Mary Levy — for their work on this project, to DCPS for its cooperation throughout and to Code for DC for its extraordinary and generous work developing this tool. Final Initial Allocations for FY16, DC Public Schools. File provided April 8, 2015. 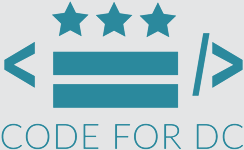 This data has been adjusted to reflect additional allocations authorized by the DC Council. The Enrollment-Based Funds line for Ballou High School was increased by $300,000, and the same line for Wilson High School was increased by $600,000. Initial Allocations for FY19, DC Public Schools, File provided March 21, 2018. Initial Allocations for FY20, DC Public Schools, File provided February 25, 2019. Additional school information provided by the Office of the State Superintendent of Education. Retrieved January 25, 2015. Published March 2019 as a public domain work under the CC0 License.